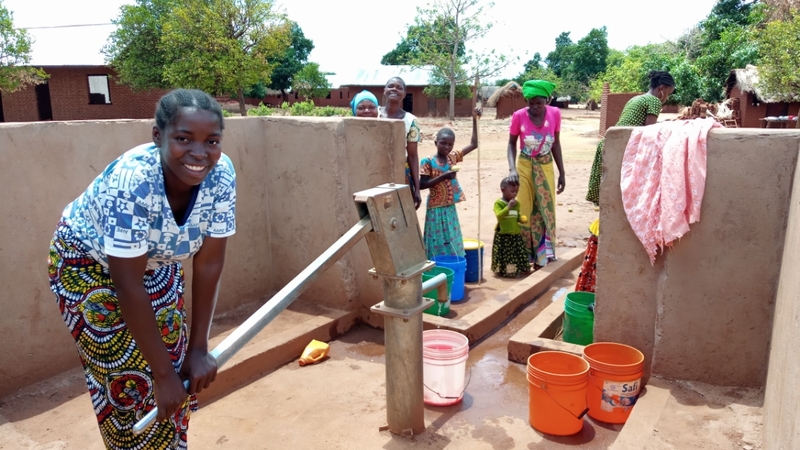 In Tanzania, walking long distances for women (including pregnant women), female youth and children to and from unclean water points of between 4 and 8 km have decreased. In 2017, PWRDF’s AMCC Project drilled 25 boreholes in 20 communities and the walking distance to clean and safe water has been reduced to less than 1 km. 8,288 households (33,150 community members) are benefiting from the 25 boreholes. The importance of vaccinating infants, children under five and pregnant women were discussed with women and men during maternal, newborn and child health meetings, home education visits and education sessions. Due to the vaccination awareness raising and mobilization, 5,247 pregnant women and 78,595 children under five received vaccinations recommended by the World Health Organization. The project worked with 20,566 small farmers in Tanzania to improve their agricultural practices in a more sustainable way. They also received a total of 16,408 kg of seeds (maize, groundnuts, pigeon pea, green peas, and cowpeas). They also received 2,200 kg of tomato, cabbage, okra, amaranth, onion and sweet peppers, passion fruit and pawpaw seeds. Beneficiaries also received dairy cows, milking goats, chickens, ducks, guinea fowl, rabbits and pigs.